Rotorua .... Oh how we love you!! We just had to share some of these moments from our weekend away in Rotorua. What a weekend!! ..... and what a reception from the patrons of Rotorua's award winning bar Ponsonby Road. The atmosphere here is warm and inviting and hosts Tamati, Tim and all their staff really go out of their way to create a unique space that is friendly and loads of fun. We really have to thank you all for hosting us and particularly all the locals and visitors that made the night so much fun for us....loads of dancing, singing and laughs and even a surprise trip around Rotorua for our lamp 'Trevor'. 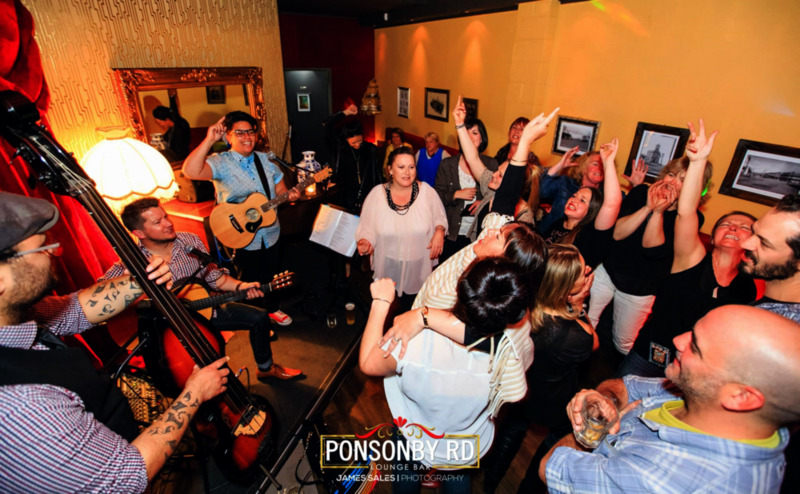 We seriously recommend heading to Eat Street anytime your in Rotorua and call in at Ponsonby Road for a quality cocktail and check out some of the fantastic live music they have on...you won't regret it. Thanks again everyone....we look forward to seeing you all again November 6th and 7th.